Jessica has inherited an abandoned estate, but it comes with an evil curse. All her friends are trapped as haunting spirits in this spooky hidden object game. Save your friends in Blue Tear with the help of a kind sorcerer. 35 unique locations with hidden object and an equal amount of unique puzzles. Create your own wooden talisman to travel across time and space. 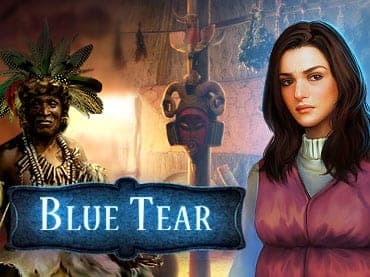 Blue Tear provides hours of suspense and exciting adventure. A hint system for those who feel the puzzles are too difficult. If you have questions about Blue Tear game, please contact us using this form.